Keywords : 1930s, Big Bend Lumber Co., Big Bend/Celgar mill (Nakusp), forestry, lumber, sawmill, and White Pine Lumber Co.
Lumber piles, White Pine (Big Bend) Lumber Co., Nakusp, ca. 1936. 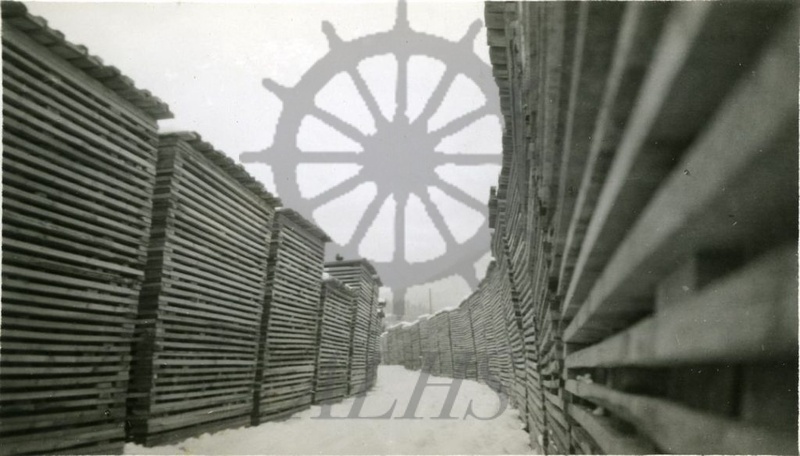 Image has been misidentified on rear as being the Arrow Lakes Lumber Co. yard in Arrowhead.